Valentines Day – it’s growing on me! I have never really been a fan of Valentine’s Day. It always seemed to be rather unnecessary and overly commercial! I mean, why do you need just one day to show someone that you love them? Shouldn’t you do that every day? Since I met Mr K though my thoughts on Valentine’s Day have thawed over the years. Don’t worry, I’m not about to get mushy and say that it is because I met the love of my life etc (I did but that’s not the point). My thoughts have thawed because even though you should let your other half know that you love them every day it doesn’t mean that you do. Let’s face it, life just gets in the way. That doesn’t mean that I don’t know that Mr K loves me or that I go around totally ignoring him for 364 days of the year. It just means that for one day a year it is actually quite nice to make a real effort to show someone just how much they mean to you. A nice card and a box of chocolates go a long way. So today in my newly thawed out loved upness I presented Mr K with a thoughtful card and a gift pack of specialist beer (I know the way to his heart). 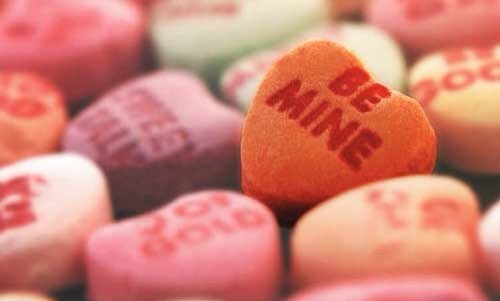 Do you agree with Valentine’s Day? I wouldn’t have minded if he had at least bought me a card!